Road trips can be tedious especially for passengers. The driver carries a big responsibility on the road while passengers stay seated, usually with nothing important to do for several hours. To veer the passengers’ attention away from their aching bottoms and the same old views – unless they are amazing – gadgets finally prove their worth. 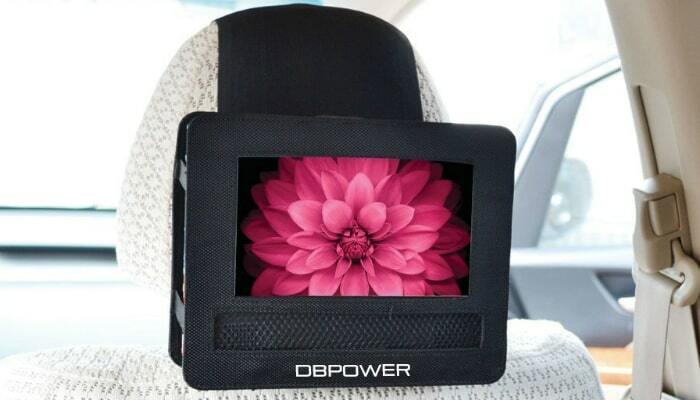 DBPOWER 10.5” Portable DVD Player has a screen that can be swiveled for the passenger’s viewing preference. It also has a USB port and an SD card slot for more choices of movies or shows to play. It can resist hard impacts in case of accidents, leading to one durable portable DVD player. Its rechargeable battery can last for three hours. This product is compatible not only with DVDS but with photos, downloaded videos, MP3s, VCDs, and CDs as well. It already comes with an AV cable, remote control, and a car and AC adapter. Sylvania 13.3-Inch Swivel Screen Portable DVD Player can only make an 180-degree swivel, but that contributes to how less susceptible this product is for damages caused by constant 360-degree screen rotation. It already includes a rechargeable battery and a pair of earbuds to avoid distracting the driver when necessary. NaviSkauto 10.1 Inch Ultra-Thin HD LCD DVD Player is specially made for mounting behind the car seat’s headrest because of its slim design and free mounting brackets. It has an HDMI port for high-definition videos. It comes with two chargers, one for the wall and another for the cigar lighter. This portable DVD player for cars can be synchronized with your laptop, kindle fire and smartphone. 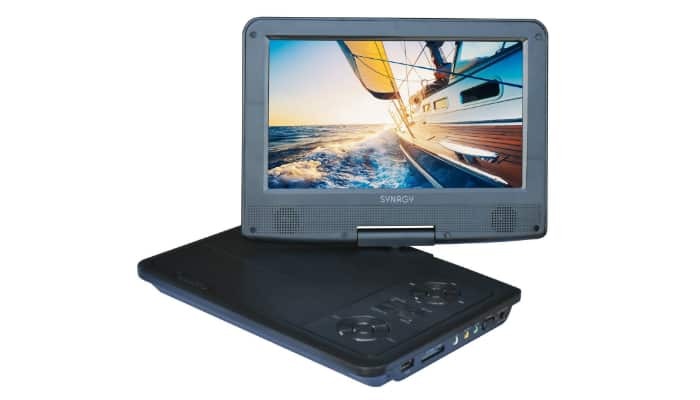 SYNAGY A29 9” Portable DVD Player includes an AC/DC adapter. Despite its very affordable price for a portable DVD player, its lithium battery is rechargeable and can last for more than three hours. Because of the car charger included in the package, this product can be charged inside a moving vehicle, most useful for road trips that can last for days. Five common types of DVD players for cars are portable, headrest, overhead, receiver and remote. Since we are talking about portable DVD players, some of these products can be transformed into other types through customization and modern features. For example, there are available headrest mounts in the market that can contain a portable DVD player with a 360-degree screen swivel. Real headrest DVD players are built-in. It is just a matter of improvisation. The thing about portable DVD players specifically made for car headrest mounts is that some of them are a hassle to use at home and other public places. They do not have a stand because their screen and DVD slot are rolled into one flat device. They need to be slim and flat as possible to fit inside most mounts. 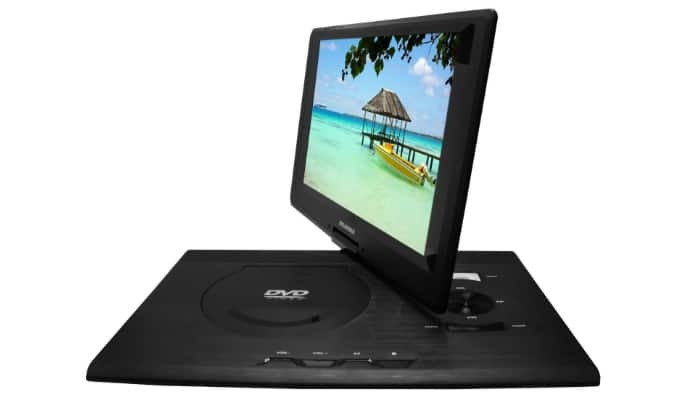 We recommend resorting to portable DVD players with screens that can be swiveled for 360 degrees. They can be set to 90 degrees for their standing position. When they need to be mounted, just turn the screen for 360 degrees and close it flat for the mount. The downside? They can be too thick for some mounts. Also, ones with cheap materials easily break after a lot of swivels. Going further regarding the screen, choose portable DVD players that are high-definition. It will be a more enjoyable experience for the passengers. Products with an HDMI port ensure HD quality. When you go for HD, do not forget to consider the screen’s size as well. Be careful about choosing the right size for your car. A large screen, especially when mounted behind the headrest, can be painful to the eyes of a person who is face to face with it in such a short distance. Big screens are fit for the overhead type of DVD player. As the term suggests, portable DVD players are meant to play videos in DVD form. However, newer models are so functional that they can also show pictures. They usually have USB ports and SD slots for people who do not rely on DVDs just to watch movies and shows. In the case of weak mounts and human clumsiness, purchase a portable DVD player that is made of high-quality materials for durability. Choose one with a thick exterior to withstand impacts or shocks. DVD players with swivels are fragile to falls because their screen might detach from the other half after impact. Of course, what is the use of a portable DVD player if it has a short battery life and cannot be recharged? Obviously, we need to choose products that can last for 2-3 hours. A couple of movies is enough for some road trips. You should also resort to a product with chargers included that are compatible with different power outlets inside the car. 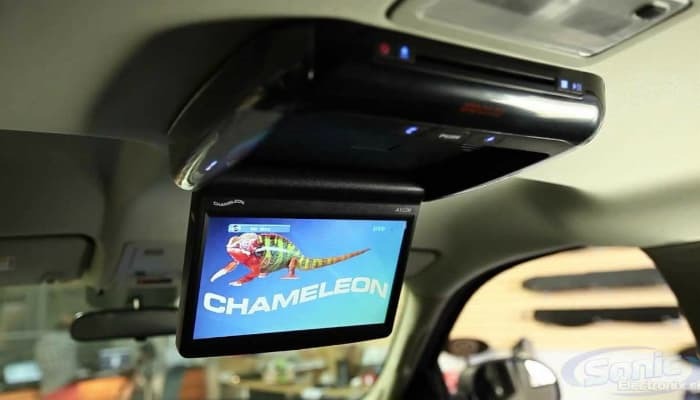 For portable DVD players that are installed on the car’s ceiling, a remote control can make the viewing experience easier. It is also for safety purposes because as much as possible, we must stay properly seated inside the car. If you keep on reaching for the DVD player’s commands, you might have to take off your seat belt just to press the controls. 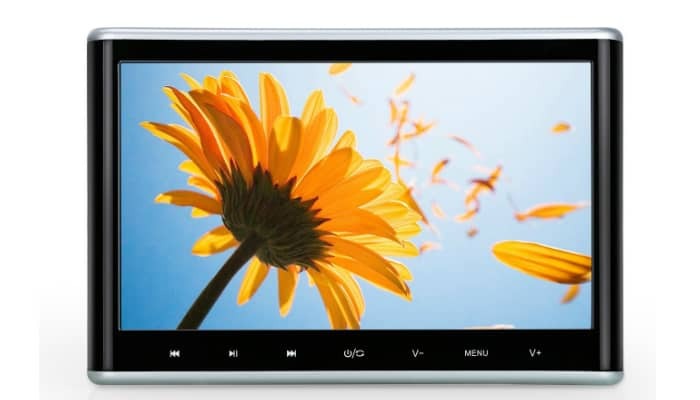 The best portable DVD player for cars should present high-quality images, be versatile for different kinds of video and image formats, last for a long time when it comes to purpose and durability, and promote convenience with all the necessary tools and features such as cables, chargers, controls and screen swivel. Entertain your future passengers by having a DVD player inside your car. Make your car more entertaining than ever for your family, friends and – of course – yourself aside from having a portable DVD player inside. You can also check out our awesome lists of the best 10-inch subwoofers, Bluetooth car speakers, and coaxial car loudspeakers.